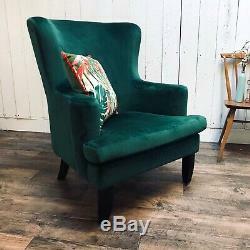 This is a great looking and chair full of modern vintage design and style. 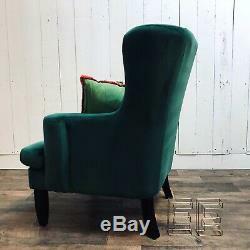 Great seating position and with high back and arms is very comfortable. 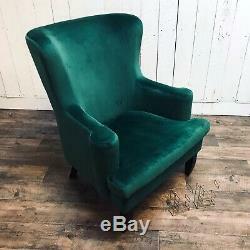 Excellent condition with very little use. 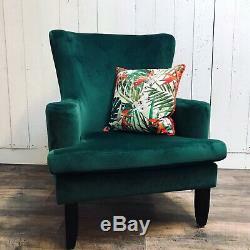 Please see images (cushion not included). 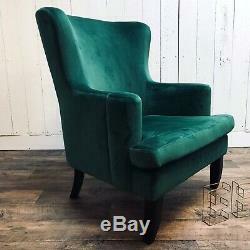 Height 102cm , Width 80cm, Depth 70cm, seat height 44cm. You can arrange for your own courier to collect the item. Shiply or Anyvan, quoting collection postcode CV34 5YB. We are unable to accept responsibility for any damages/losses that may occur in transit if a courier is arranged. You are accepting these terms and conditions stated and are completely responsible for your item the moment it is handed to the courier. Any compensation for breakages or loss should be claimed from the courier only. We at English Emporium have a real passion for design, interiors, art and antiques and never stop searching for treasures for the home. With interiors being our focus, English Emporium continues to help discerning clients by sourcing and creating unusual pieces to fit their interiors. 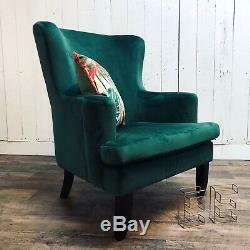 As you would expect from pre-loved and antique furniture, they come with the scars and wear of life so the odd bump, scuff and scratches are to be expected. Check out our other listings! Emporium on your favourites list! 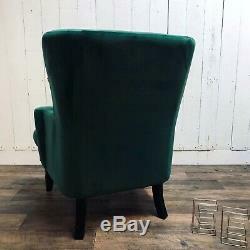 And social media and take a look when you need that certain special item for your home or just message us. Please read the item description carefully. If you are unsure about any imperfection with our refurbished, pre-loved, antique and vintage items, then please ask us before purchasing. 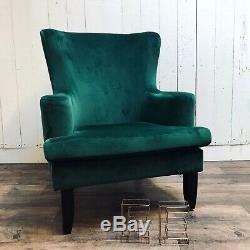 The item "Velvet Wingback Chair Lounge Furniture Accent Armchair Emerald Green Velvet" is in sale since Friday, March 29, 2019. 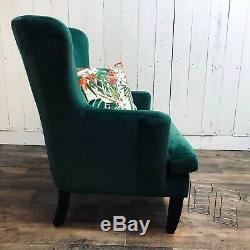 This item is in the category "Home, Furniture & DIY\Furniture\Sofas, Armchairs & Suites\Armchairs".emporium" and is located in warwick, Warwickshire.